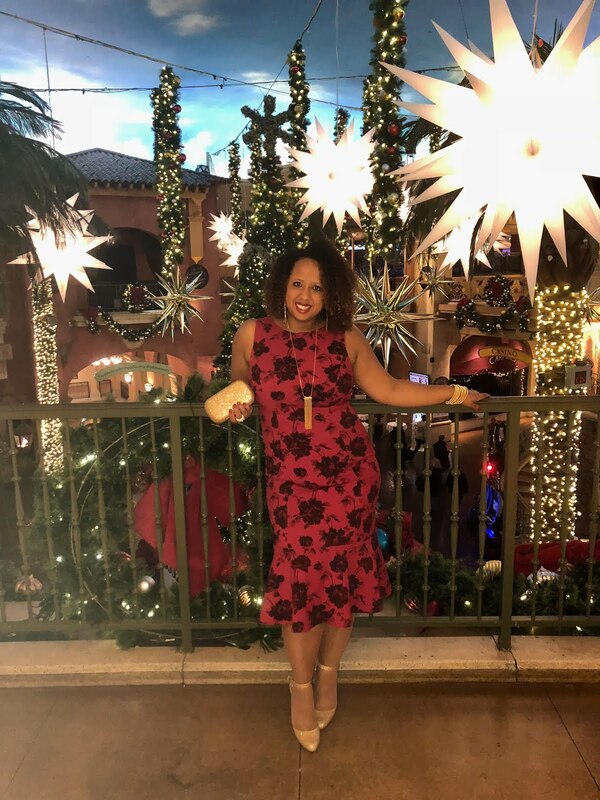 I am back, and this time with my girls,, the fab five fashionistas are here to bring you Christmas outfit inspiration. Weather you are going to a Fancy Christmas party, work dinner, church Christmas dinner, school Christmas concerts and even New Year’s Eve you will find inspiration in this blog! 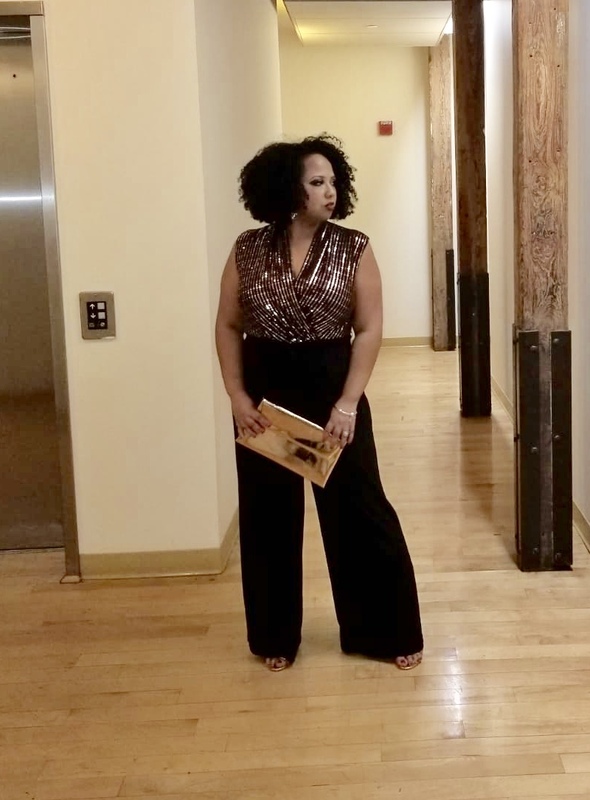 I want to say my look is more glam Christmas party or New Year’s Eve party, either way you can rock this black and rose gold sequins jumpsuit. I styled it glam all the way with metallic rose gold clutch from Amazon and matching sandals from shoedazzle. 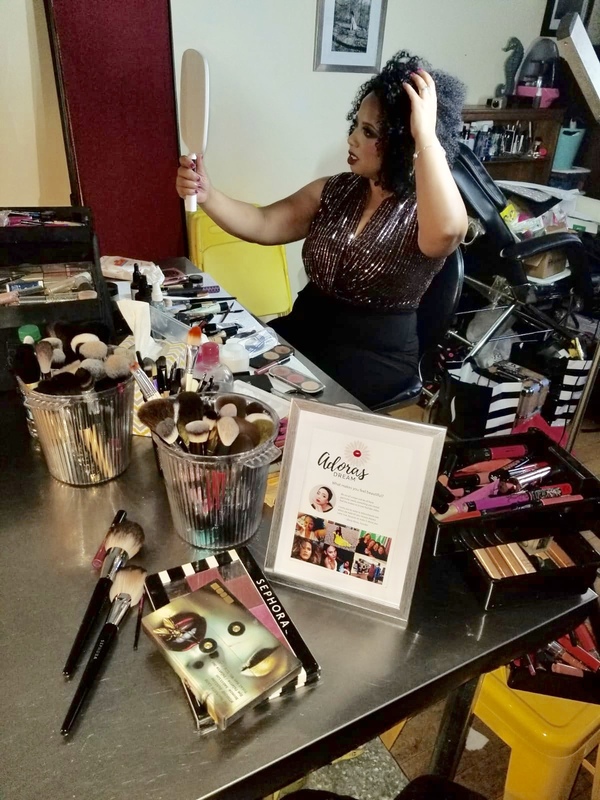 For my makeup I did a collaboration with Adorasdream and she went glam all the way, I have never had my makeup done this way, I absolutely loved it. Now let’s see what my fashionista sisters have for us! The little sis brings you an all white Christmas!! I absolutely love this look she styled it with rose good sequins booties and just brought that pop!!! I absolutely love it sis. 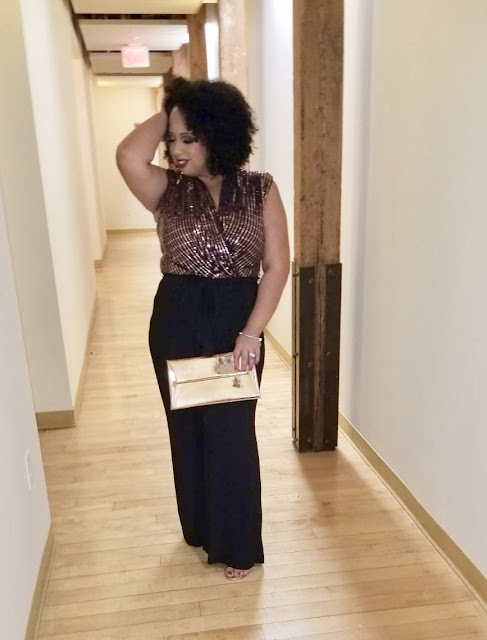 You can wear this look to anything from an office party to a New Year’s Eve party. To get more details on her look please visit her blog, and don’t forget to follow her on Instagram. 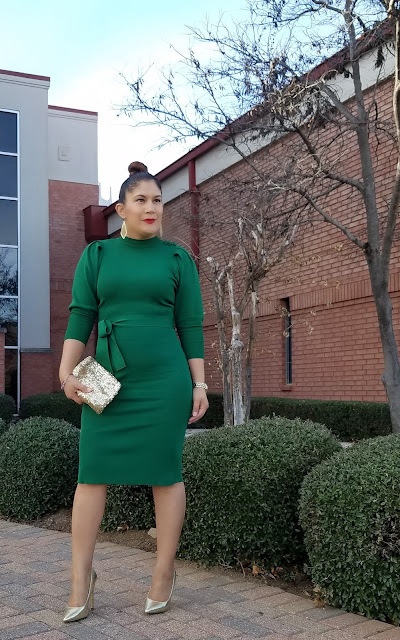 Lydia, brings us a little green dress styled with gold shoes and clutch,, she is absolutely ready to hit any Christmas party and slay it baby!! What I love about this dress is that you can style it so many different ways. And still be Christmas worthy. To get all the info of her look and more head on over to her blog and remember to follow her Instagram. My girl! You guys know anything red,, has the key to my heart and Yolanda went with a little red cape dress,,, because wait a minute that is a cape dress right?? You can simply go anywhere with this dress. Use it for a Christmas party, dinner, office party, New Year’s Eve and only if you are like me to a school party. My motto be you! I love how she styled it black pumps and a Chanel inspired black bag. You can definitely wear this anywhere. Don’t forget to visit her blog to get all the detail on her look and give her a follow on Instagram. Mary, went with the All time Christmas favorite red plaid look with a twist. 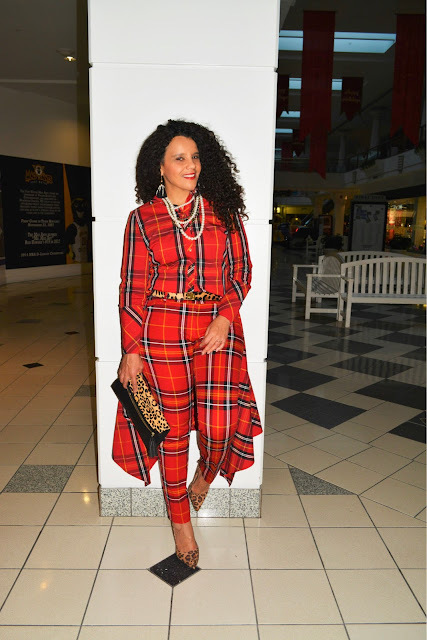 Yes with a twist, plaid is a classic but it doesn’t look this amazing on everything, now Mary turned that around baby, she made this classic look a modern one, with this statement dramatic plaid top and plaid pants. Now I love how she mixed prints and added the leopard shoes, belt and clutch! What a way to be bold and make it look amazing. You can wear this look simply any where this Christmas season. Don’t forget to check out her blog for details on her outfit and give her a follow on Instagram as well. Well that is all for today amore, thank you so so much for reading and tell me,, what look inspires you??? What will you be wearing this Christmas season?? How would you make this your own?? Until the next blog amores!